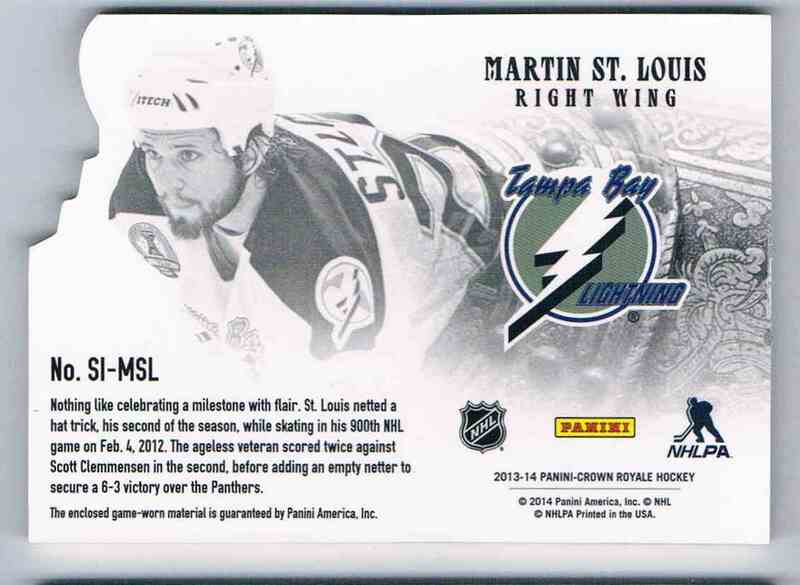 This is a Hockey trading card of Martin St-Louis, Tampa Bay Lightning. 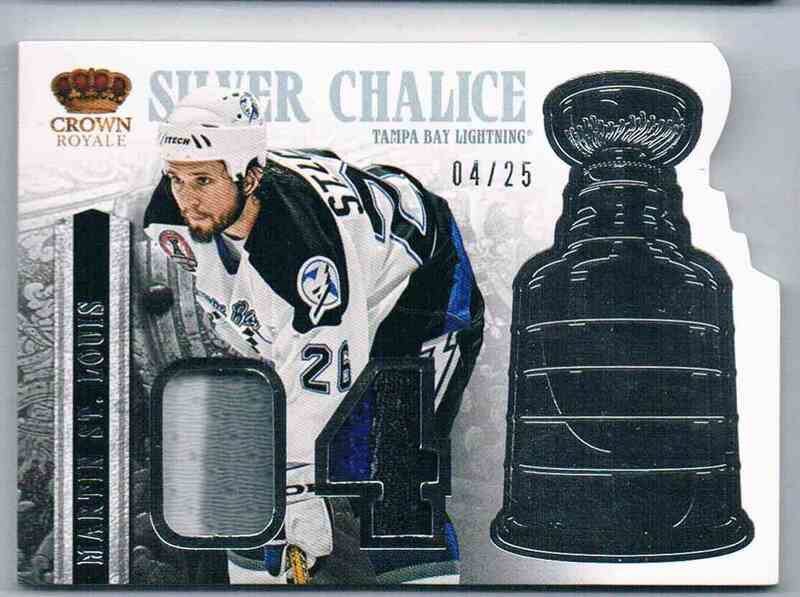 It comes from the 2013-14 Panini Crown Royale Super Chalice Dual Jersey set, card number SI-MSL, embedded Dual Jersey 4 Colors, serial numbered 04/25. It is for sale at a price of $ 25.00.